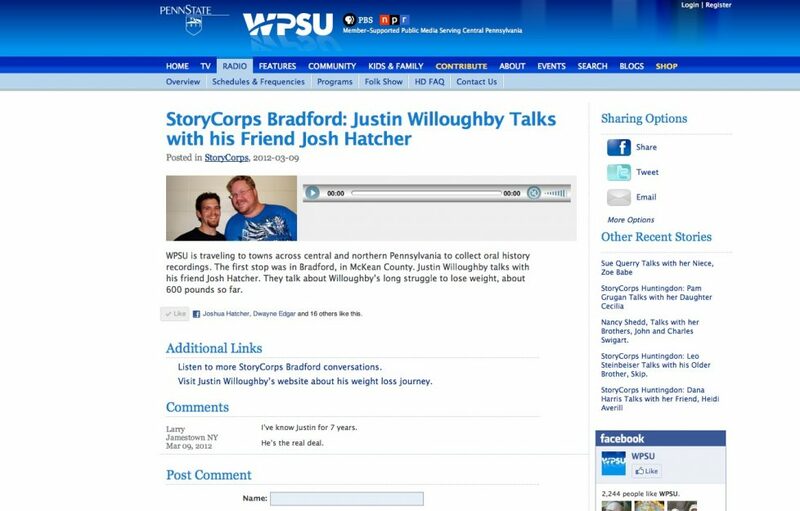 Catch me on WPSU’s StoryCorps, as I share mis story with thousands of listeners! Justin’s journey to connect with “ragingrobert” a man desperate for help! It was brought to my attention that a man named Robert Gibbs is in need of help. Robert is a 23 year old who weighs in roughly 600-700 pounds. I have a strong urge to help this man lose the weight he wants to lose. I believe with my experience, I can certainly offer him some much needed guidance and advice. I have attempted to chat with Robert via youtube. I made some video responses, and private messaged him in order to contact him. Please be praying and passing this information a long. Attached is his original youtube video, and my video responses. 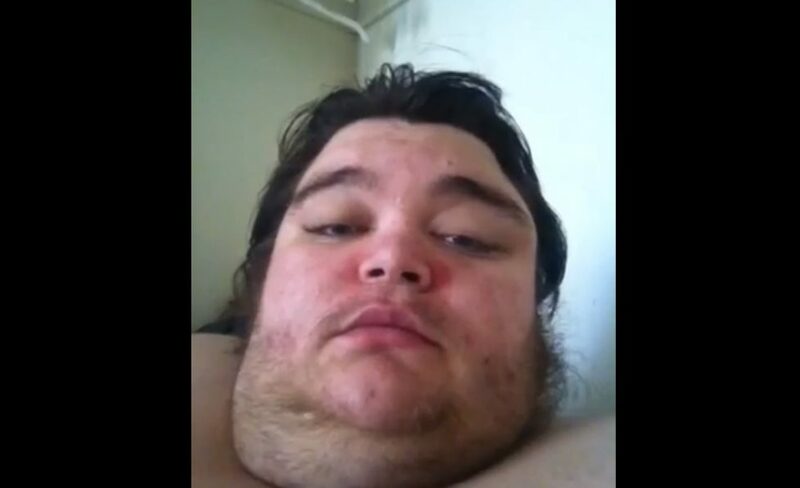 Man who loses 600 pounds wants to help Robert! Justin Willoughby wants to help Roger shed unwanted weight! I want to help Robert! I use to weigh 799 pounds! I am excited to let you know that justinwilloughby.com will be relaunching soon! We will take advantage of a new look, new user friendly options, and more! 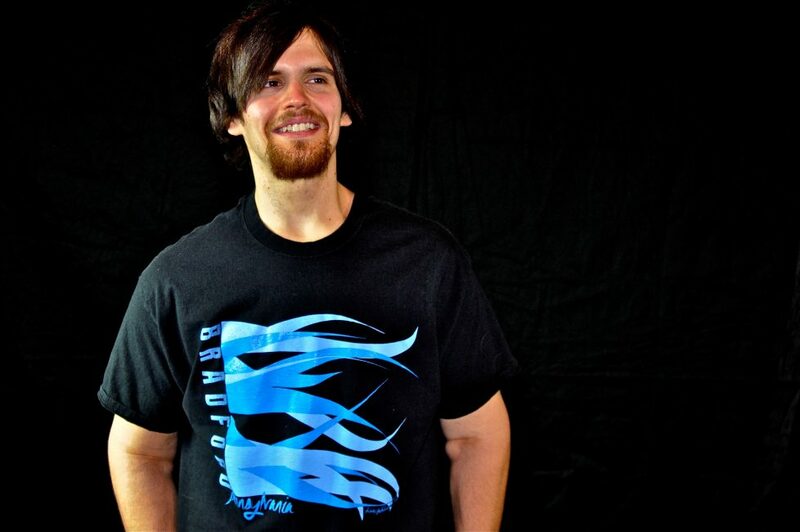 All New Member Section – You will get instant access to video blogs, step by step exercise demonstrations, my e-books, my lifestyle eating plan, exercise secrets, and everything else justinwilloughby.com has to offer! Monthly Newsletter – Get updated nutrition advice, exercise advice, and encouragement with the NEW justinwilloughby.com newsletter! E-Books – The justinwilloughby.com 21 day eating plan, I’m too fat to lose weight: Overcome the death sentence of morbid obesity, How to beat can’t, and more! Articles – Get some of the latest information with justinwilloughy.com webpage articles. Be on the look out for these exciting new changes! You won’t want to miss these!